What are the things about me that define me? Good question. First of all I am a believer in Jesus Christ as my Savior. That is the underpinning of all that I am. Everything else is my passions and interests. They are the activities and interests that fill my time. I love them all passionately, and they add so much to my life. They are not however MY LIFE. Jesus is the author of my soul; who made me with the desire to create things with my hands and my body; to feed my mind and soul with books and music; to dream and contemplate the meaning behind all these pursuits. So what are those things which I so adore to spend my time and resources? My first love is books. I was introduced to a love for reading from infancy, and I can’t imagine a life without books. I have a few favorite contemporary authors, but my main genre is classics. I have an affinity for British Literature but have also dipped extensively into French and Russian works. If I had to pick one contemporary author as a favorite it would have to be Stephen King. As for my favs of the classics I would say, Thomas Hardy and W Somerset Maugham are at the top of the list. Now for the knitting. Ah….knitting. I love the rhythm of it. I also love how you get something out of it that is useable. There’s so much room for experimenting if you’re inclined because there’s basically no risk but your time. If it doesn’t work out or you make a mistake; no harm done. Just rip it out and start over. Or not. It’s such a forgiving medium. I am not afraid to try anything, but I mostly enjoy making sweaters, socks, and finger-less mitts. 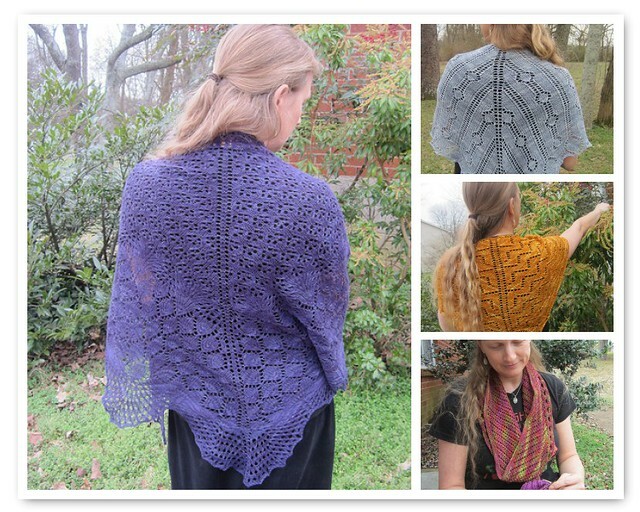 I use a lot of lace stitches in all the above, but a nice shawl or scarf is usually on the needles too. 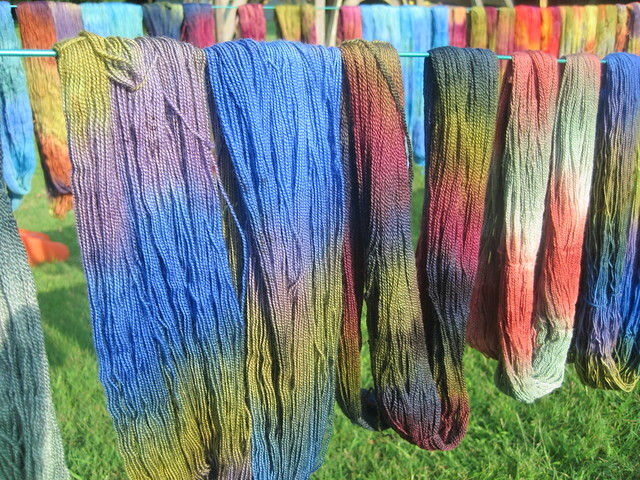 All this knitting also leads to a love of yarn; which for me, led to a love of dyeing my own yarn. 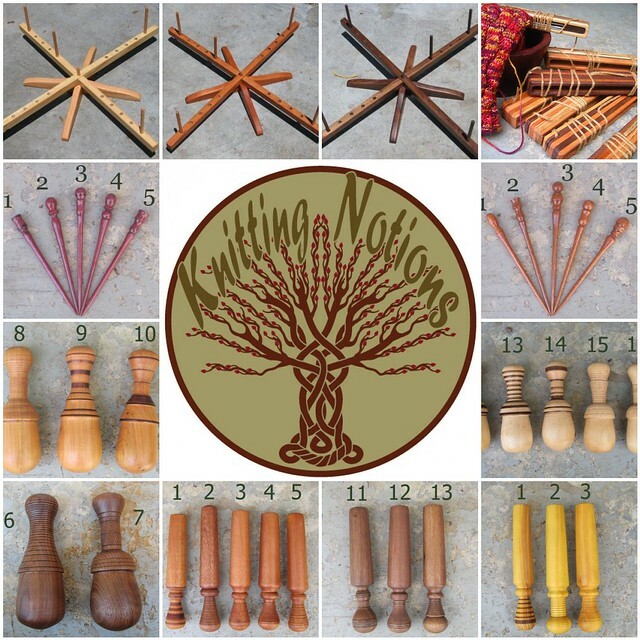 That grew into a whole other world of becoming a small business owner of our own yarn and fiber tools manufacturing company, Knitting Notions. We produce most of what we sell ourselves. We sell them at Fiber Festivals in many different US locations as well as on our own website. Now, how is all of this possible to accomplish you may wonder? Well I have a large family and our life is centered on our home. My husband and I have ten children, seven girls and three boys, and since we home educate them we have some freedoms to set our own schedule. Studies for the children are supposed to be primary; and we do make them a priority but we also are flexible when we need to be. Life these days is so full of distractions, isn’t it? There is so much out there competing for our attention. We try to manage a balance between work and play. :-) We all have roles around here and most days we get the job done.